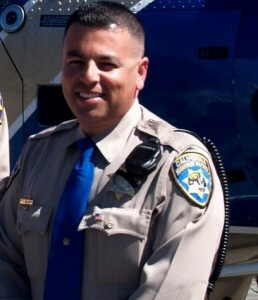 Tuesday morning, Officer Adrian Quintero with the California Highway Patrol (left) will chat with Joanna and Jodie on TheFish103.9FM Family Morning show. Distracted driving is a big deal because lives are at stake. And at the same time, driving is such a routine, automatic part of modern life that we tend to take for granted the responsibility of getting behind the wheel. Compounding our tendency to multi-task while driving (eating, grooming, monitoring the radio, reading maps, etc.) cyber technology is increasingly a part of the automobile. New car models are equipped with gadgets and devices that allow us to navigate and communicate while driving. In response to the passage of AB1536 on July 13 clarifying that hands-free texting is a legal use of mobile phone technology while driving, Chris Cochran, spokesperson for the California State Office of Traffic Safety, urges parents to help their teen drivers appreciate the importance of staying focused while behind the wheel. According to a PC World report, the new law which goes into effect January 1, 2013 makes hands-free texting legal with devices designed to send and receive voice-activated texts while driving. So it is not okay to use a hand-held mobile phone, with voice activation that requires the driver to initiate functions with their hands. “The safest way to use mobile devices while driving is to not use them at all,” Cochran said, adding that this advice applies also to grooming, eating, and other activities that may distract the driver from the road. 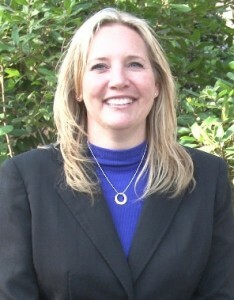 Dr. Kelly Browning, Executive Director of ImpactTeenDrivers in Sacramento, Ca. Impact Teen Drivers was started by the California Association of Highway Patrolmen and California Casualty, according to Browning, because the biggest stress for CHP officers is having to tell the parents about the teens killed or maimed in preventable auto-accidents. What can parents do to promote safe teen driving? Honor the traffic laws, and when new laws come out, like AB1536 regarding hands-free texting, read up on it and be able to discuss it with your teen driver. Demonstrate respect for traffic laws. Rolling through stop signs and complaining about traffic and parking tickets sends the signal to your children that the law should not apply to you. The California Highway Patrol offers free training for parents through Start Smart driver training (free to parents and teens). For more about hands-free texting while driving is not legal with phone in the hand: See PC World article. Posted in Discipline, Family, Internet Safety, Mobile Phone Use and Children, Parenting, Texting.